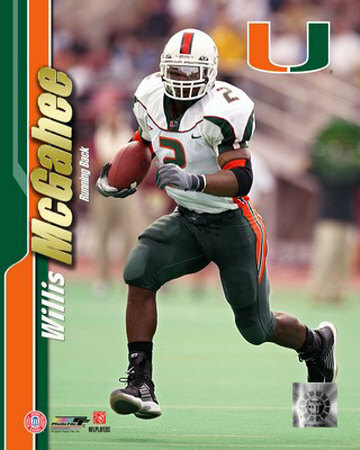 College football was the first form of American football to gain widespread popularity. Over one hundred colleges and universities field football teams every fall. These squads are made up of student athletes who must meet eligibility requirements. The rules of college football are similar but not identical to the rules of pro football. Both are played on 100 yard fields. Both follow the four down, ten yard format. Squads in both college and pro football are played by eleven men units. Touchdowns count six points, while there are both one and two extra point conversions available. Field goals count three points. Minor differences include the "out of bounds" rule. A pro receiver must have both feet in bounds along the sideline for a reception to be complete. In college, the receiver only needs to have one foot down. In the pros, if a ball carrier is not touched when his knees touch the ground, he may get up and run with the ball. In college, if the player falls to the ground, the play ends. These are just a few of the differences, but viewers can watch either sport with little difficulty understanding the nuances. Most of the changes are cosmetic. Many date the first college football to an 1869 game played between Princeton and Rutgers. But this game was much more like European football, known in America as soccer, because players could advance the ball only by kicking it. The first game which allowed some ball carrying was an 1874 showdown between Harvard and McGill University in Montreal, Canada. Walter Camp was the man who fashioned American football into the game we recognize today. Camp was a Yale man, dominated the committees which wrote the rules, which were set in stone around 1892. 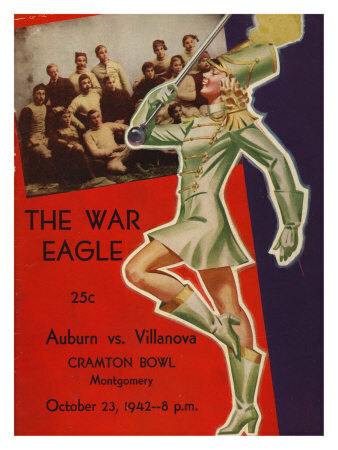 Early college football was confined to the student bodies of east coast American schools. By the 1890′s, some of the rivalries were forming that continue to hold the imagination of fans today. As succeeding generations of alumni passed through the school, the love of football became more widespread. 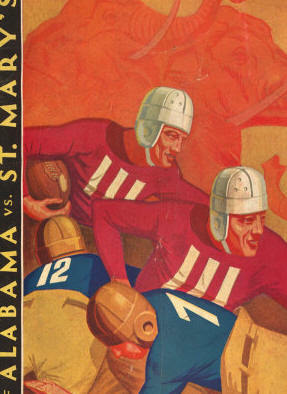 By the 1920′s, college football was third in the sporting public only to professional baseball and boxing. The first Rose Bowl was played in 1902. This was a post-season game pitting two prominent teams, in this case Michigan and Stanford. Interestingly, these two teams would become respective members of the Big Ten and Pac Ten, who would send their champions to play one another in the Rose Bowl for decades. The Rose Bowl continues to be known as "the Granddaddy of Them All". Bowl games became a large part of the college football landscape. Regions, often in the temperate zones, began to organize their own bowl games, including the Orange Bowl in Miami, the Cotton Bowl in Dallas and the Sugar Bowl in New Orleans. Today, there are around 32 bowl games at the end of every season. Fans for the particular college follow their teams to the bowl sites, and a party atmosphere surrounds the week leading up to the game. Millions of dollars are doled out by bowls, with the Bowl Championship Series (BCS) offering the biggest payouts. Who is asked to play in which bowl is often determined by the rankings. Unlike the pro game, where a playoff format dominates the post-season, college football is centered around the rankings. There have been many ways of ranking the Top 25 teams over the years, most of them involving either a coaches poll or a writers poll. Each week, a new poll would be taken, which would rank the teams into the top 25 (or simply the Top 20 back dating back a few years). Today, the BCS computer rankings determines where teams are rated. This is a complicated formula, including coaches polls, won-loss record and the increasingly important strength of schedule factor. Throughout the season, these rankings are for nothing more than bragging rights, though they also help the networks tout key match ups. After the regular season, the two teams that are rated highest by the BCS computer are matched up in the National Championship Game. The winner of this game determines the national champion. The top college player every year is awarded the Heisman Trophy. A panel of sports writers, along with former winners of the trophy, vote on the winner. This usually goes to a star offensive player on one of the best teams. Almost always, a quarterback or running back win the Heisman, though a few receivers have won it over the years. Major college football programs tend to join football conferences. These are divided regionally, though they have expanded over the years to include larger regions. A handful of these conferences provide the national champions, so that these are considered the "major" conferences. Among these are the Southeastern Conference (SEC), the Atlantic Coast Conference (ACC), the Big Ten, the Big Twelve and the Pac Ten. Most conferences schedule eight conference games per year, leaving schools to schedule three non-conference games themselves. Conference games count towards the conference championship. The Big Ten and the Pac Ten do not have conference championships, while the Big 12 and the SEC do. These two conferences have twelve teams divided into two divisions (North/South for the Big 12 and East/West for the SEC). At the end of the regular schedule, but before the bowl season, the winners of these divisions play one to become conference champions of their respective conferences. Notre Dame is considered the most storied football program in college football. It boasts 11 national championships and 7 Heisman Trophy winners. Among its famous coaches are Knute Rockne, Frank Leahy, Ara Parseghian and Lou Holtz. Unlike most other major schools, Notre Dame is not part of a football conference. Instead, it is free to schedule 11 games a year, and tends to play one of the toughest schedules in college football every year. Also unlike other schools, this frees Notre Dame to sign its own television contract, and for the last ten or more years, it has an exclusive contract with NBC Sports. The fans of many schools would argue their university has as storied of a past as that of Notre Dame. The fortunes of programs wax and wane over the years, so that many have had glorious eras. Oklahoma, for instance, has won 7 national titles and holds the record for most games without a loss (47). Among the most storied programs are Oklahoma, Nebraska, Alabama, Auburn, LSU, Texas, Ohio State, Michigan, Penn State, Miami and Florida State. The service academies and the Ivy League football programs dominated the sport in the first half of the 20th century, but these schools no longer do so. 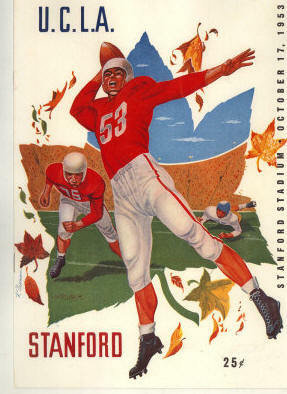 Before the 1960′s, college football was much more popular than the National Football League. With the merger of the NFL and AFL and the creation of the Super Bowl, the NFL began to eclipse college football in popularity. College football has a devoted fan base to this day, though, and remains the most popular college sports, even more so than college basketball and March Madness. College football tends to be most popular in regions where no NFL team is near. This means that rural areas like Alabama, Oklahoma and Nebraska have particularly rabid fans.